Our carpet cleaning in Elsternwick 3185 is a reliable service, aimed at ridding your rugs and carpets from all manner of dirt, spills and stains. Our staff have access to a range of fantastic, high-tech tools and cleaning equipment - allowing us to deliver a wide range of services, including steam and dry cleaning, with ease. 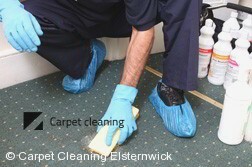 Our carpet cleaning services in Elsternwick are conducted with care and precision by our team of experienced staff. Every member of our team comes fully trained across an extensive range of tools and techniques, allowing us to deliver fantastic cleaning results every time. Call us now, on 03 8672 2740. Our lines are open 24/7, and we have a team of friendly, knowledgeable staff on hand to answer your questions - or help you to make a booking. You'll even be able to request a free, no-obligation quote on our Elsternwick carpet cleaners. Alternatively, you can request a quote using our online form - and prepare to enjoy our professional carpet cleaning in Elsternwick! "With the professionals who came to my house yesterday, this company must be proud. The guys did a wonderful job, they were very kind and hard working. Thanks..."
"I would like to say that your cleaners did a great job in my home and cleaned everything I wanted professionally. Thank you for that." "After a huge party and the news of my parents coming I had to have the whole place cleaned and fast. Thank you for doing it all for me."